A 14-year-old young farmer been confirmed as the latest victim of the Manchester terror attack. Nell Jones, aged 14, of Goostrey, Cheshire, was at the Ariana Grande concert with her friend, Freya Lewis, who was pulled to safety by strangers who saved her life by giving her CPR. Knutsford Young Farmers Club posted a tribute to her on social media. "It is with great sadness that I write this to inform people that sadly Nell Jones has passed away. "Heaven has gained another angel." Staffordshire YFC: From everyone in Staffordshire YFC our hearts go out to you all. We are so very sorry to hear this tragic news. Gail Edwards: Such horrible news, so sorry for her family and friends' loss. Wick & District YFC: We are so sorry to you all at Knutsford YFC and Nell' family. Lydia Lomas: So sorry to hear such sad news. Our thoughts are with all her family and friends at this difficult time. Kerry Taylor: Absolutely devastating - truly horrendous. All of our love to all of her family and friends! Heartbreaking news. Jennifer Girvin: Sending hugs from across the pond. Our thoughts and prayers are with you all and Nell's family. - Jennifer, Past President, Junior Farmers' Association of Ontario. Hazel Salter: So sorry. Love to all of you at Knutsford Young Farmers, her family, friends and school friends. A loss that will resound across so many farming villages. Headteacher Dennis Oliver, said: “I have just done six assemblies to tell the pupils. Children are all over the place crying. We are all devastated. "It is with great sadness that we reflect on the loss of Nell Jones from our school community. It has now been confirmed that Nell lost her life in the Manchester bombing on Monday evening. "Nell’s family have been searching for her since the incident in the hope that they would find her being cared for in hospital. Unfortunately, the police have now confirmed that Nell died at the scene. "We have now informed the whole of the school community through assemblies in which the students and their teachers reflected together on memories of Nell and shared their grief together. "We are all devastated by the loss and as a school community we must now come to terms with what has happened. Nell was a very bright and popular student. "Over the coming days we will give everyone ample opportunity to pass on their memories of Nell. In the meantime we will be providing professional support to children,staff and parents as necessary. "The wellbeing of all of the children within our close school community is now our number one priority. "I have met with Mr and Mrs Jones this morning and offered our sincere condolences on behalf of everyone at our school. I cannot imagine the loss they must feel. "Nell’s family are devastated by the news and have asked that they be allowed to come to terms with their loss in private." 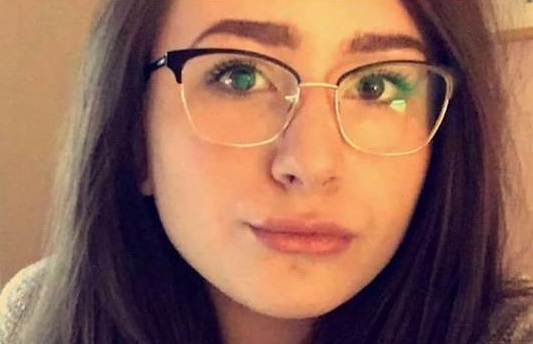 Ed Ford, Chairman of Council for The National Federation of Young Farmers' Clubs, said: “On behalf of all young farmers across England and Wales, NFYFC offers its heartfelt condolences to the friends and family of Nell Jones from Knutsford YFC in Cheshire who sadly lost her life in the attack at the Manchester Arena on Monday night. “Our thoughts are also with the members of Knutsford YFC and Cheshire Federation of Young Farmers’ Clubs who have been affected by this tragedy. “While these atrocities are devastating and shocking – especially when it affects our own communities – we must all stand united against the hatred. It is at times like these that we can take comfort and strength from our nationwide community of Young Farmers’ Clubs. Nell's friend Freya Lewis is recovering in hospital after lengthy surgery for injuries sustained in the attack, her father Nick said. Mr Lewis, in a statement released through the school, said: "Our situation is impossible to describe, but the amazing support that everyone has shown us has been breathtaking. "After 10 and a half hours in surgery she is stable. "The staff at the hospital have been incredible. "Freya has been sewn, bolted, drilled and bandaged back together. "It is going to be a long climb but we are on the first step. 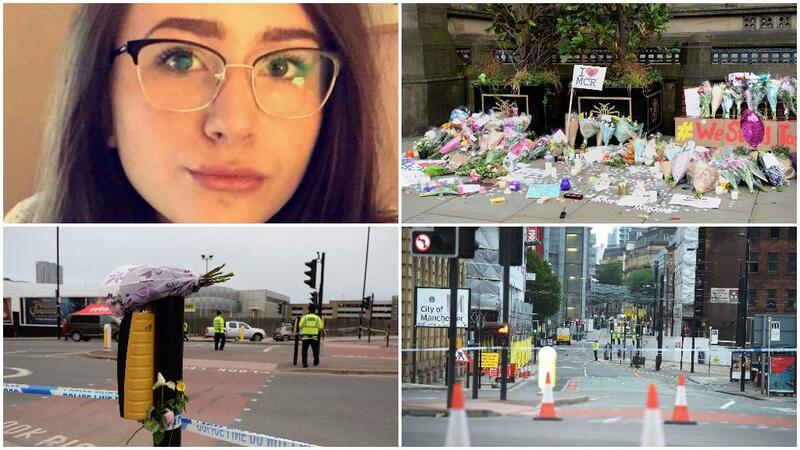 Twenty-two people were killed and dozens more seriously injured when Salman Abedi detonated a device as fans left Manchester Arena, where US star Ariana Grande was performing on Monday night. It was the worst terrorist incident to hit the UK since the July 7 attacks in London in 2005.